Okay, it wasn't enough to have an entire section dedicated to YOU. I had to take it one step further and provide a place for FUN, too! 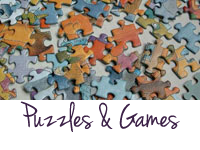 Personally, I love camping, traveling, writing, and doing puzzles (particularly jigsaw puzzles and logic problems), so I figured I'd share gobs of stuff about that. 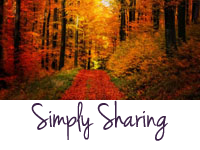 The sharing section is just for when I write something about anything I chose to share that doesn't really fit anywhere else. I also include links to puzzles I find on the web that I personally enjoyed doing. There's one site I frequent that allows me to share jigsaw puzzles, so you'll see a lot of those. I'll also be including several of the increasingly hard-to-find logic problems. I'm lucky to find that puzzle book at my local store, anymore, so I guess I'll have to start finding them online. 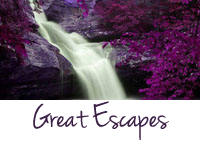 I think you'll especially like what's available under the camping and great escapes sections. 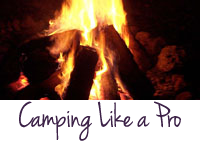 They are definitely a MUST-see if you like camping and traveling. There are ALL sorts of cool ideas for camping like a pro. Enjoy!